As the nights lengthen and the temperature drops, now is the time to plan for winter before the weather takes a turn for the worse. When getting out and about is more of a struggle, making sure your home is cosy and comfortable is prime. Here at Mobility Solutions, we have a huge range of winter mobility aids to help make life easier. We stock a range of adjustable beds which are easily operated by remote control, so you can choose the perfect position to relax. Sore joints and stiffness are likely to increase in the winter with the cold weather and earlier nights, so beds with five-fold adjustable bases to support knees, hips, back, neck and head are great for a perfect night’s rest. We also sell orthopedic mattresses which are designed to provide comfort and work perfectly with adjustable and profile bed frames. 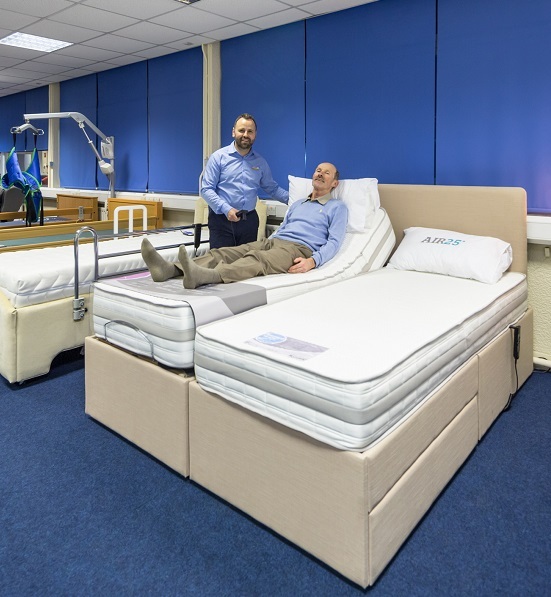 Available in various sizes, including made to measure, we also offer memory foam mattresses designed to maintain healthy skin and soft tissue circulation. Rise and recline chairs bring invaluable comfort to any living room. They allow you to recline back and put your feet up, and also give that much needed extra boost as they can tilt upwards to make standing up to make a cuppa or answer the door easier. 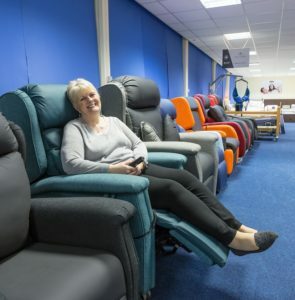 As well as single and dual motor chairs, we offer bespoke made-to-measure rise chairs with optional extras including heat and massage functions too. Keeping your feet warm and dry in the winter is essential for good health and comfort. 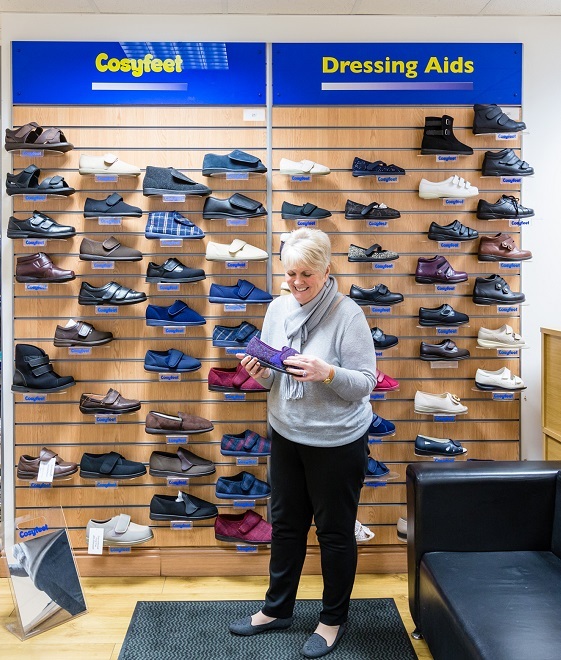 Our huge selection of extra roomy footwear is perfect for swollen feet and joints. We have lots of cosy slippers, which are easy to put on and take off, as well as warm outdoor footwear with sturdy soles and good grips. You might not even realise that something is a struggle until you find a handy mobility aid to make the task easier. We have everything from overbed/chair tables to keep everything you need close by, to tilt and pour kettles that eliminate the need to ever hold a heavy kettle of boiling water. Shop online or instore today! To stay up to date with the latest news and offers from Mobility Solutions, subscribe to our newsletter here and like our Facebook page here.